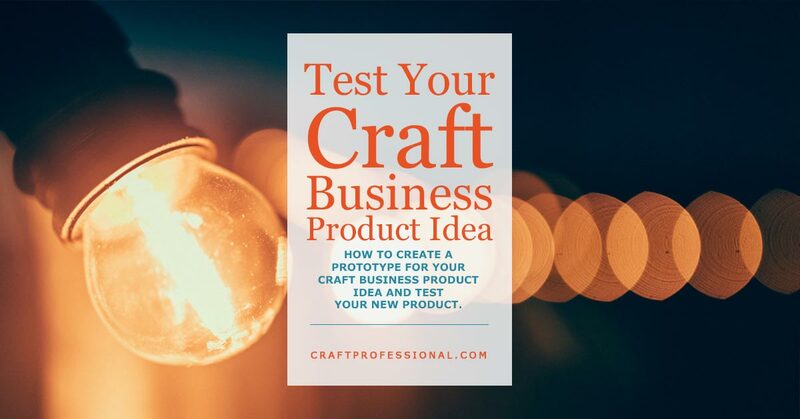 CREATE A PROTOTYPE FOR YOUR CRAFT BUSINESS PRODUCT IDEA AND TEST YOUR NEW PRODUCT. 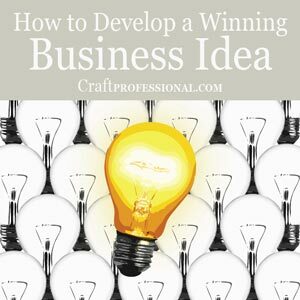 Do you have a business idea that looks like a winner so far? You've clarified your idea, assessed the potential risks and rewards of developing the idea, solved problems, and looked for issues that could be deal-breakers. Now you can create and test a prototype. If you haven't done all of that prep-work, read the first article from this three-part feature on developing and assessing business ideas for more information, then come back to this page when you're ready. Once you've done that initial research and believe you have product idea with good potential, creating a prototype for your best product idea is a smart idea. 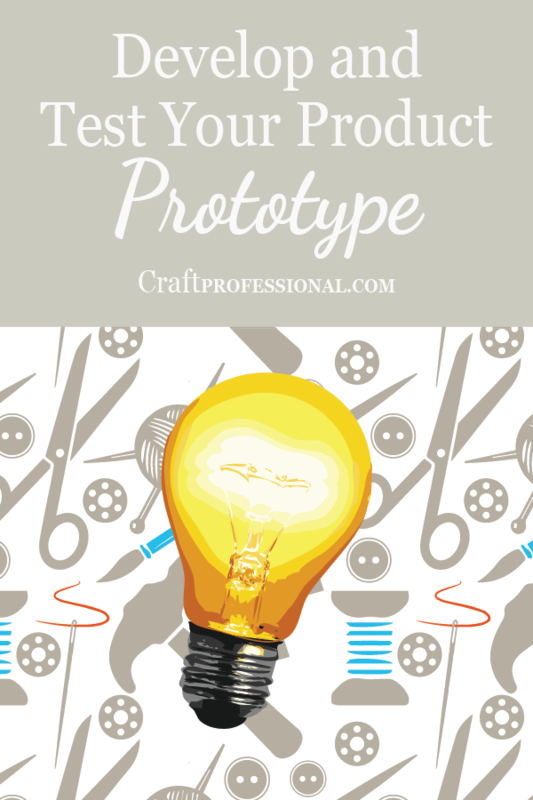 For most craft professionals, creating a prototype will be a reasonably simple, low cost, low risk project. You're not asking a factory overseas to develop a prototype for you (which would involve a lot more risk and research). You likely have access to the tools, raw materials, and skills required to create your product. So, it's time to get into the studio and create! There's an excellent chance you've already created items similar to your product idea, so this stage should be fairly simple. However, in your brainstorming so far, you may have determined a few improvements that will make your product better or solve a problem. Incorporate those changes into your design and create the product as you envision it going out to customers. While you work through this process, and after you complete it, look for weaknesses that would make your product less profitable or less appealing to customers, and work to eliminate them. Look for strengths and determine how you can make them stronger. 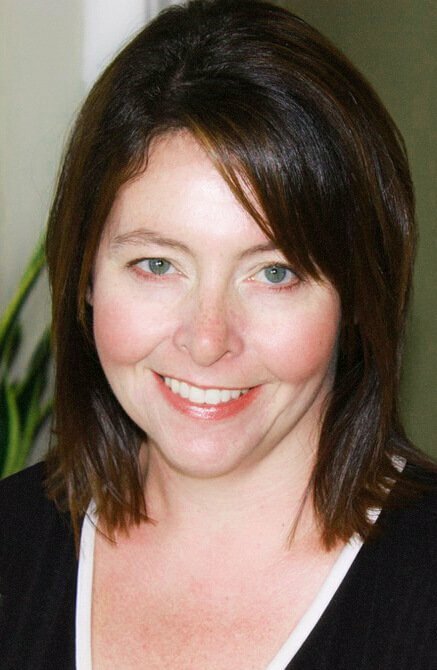 Ideally, you want to test your product with people who represent your target customers. If you create adorable stuffed animals, for example, you'll want to test them with children in the correct age range. Ask staff at a play centre if you could bring in the toy(s), let the children play, see how they react, and ask them questions. You might get some surprising and helpful reactions. Maybe some aspect of your product doesn't function quite as you had expected with your target customer. This knowledge gives you an opportunity to improve. DO YOU NEED TO KEEP YOUR PRODUCT UNDER WRAPS? You might need to keep your product quiet at this stage. If you have a fairly unique idea, and you're concerned about the competition seeing it and launching a version before you do, for example, you may want to be more discreet in your testing phase. Consider testing your product with people you know and trust including trusted existing customers, friends, family, or trusted colleagues. If you're concerned about copycats, there's still some element of risk here, but it's less risky than testing with strangers. The advantage of this approach is that you get to do some testing while keeping your product under wraps. The disadvantage, though, is your test subjects might not be your exact target market, so you might miss something important. Another consideration when testing with friends and family is that you must make it clear that you want total, brutal honesty in their feedback. With friends and family, you always run the risk that people will avoid giving a real, honest critique because they don't want to hurt your feelings or discourage you. Make it clear that you need to hear about any problems or shortcomings they see. Let them know that by pointing out potential issues, they are being kind. 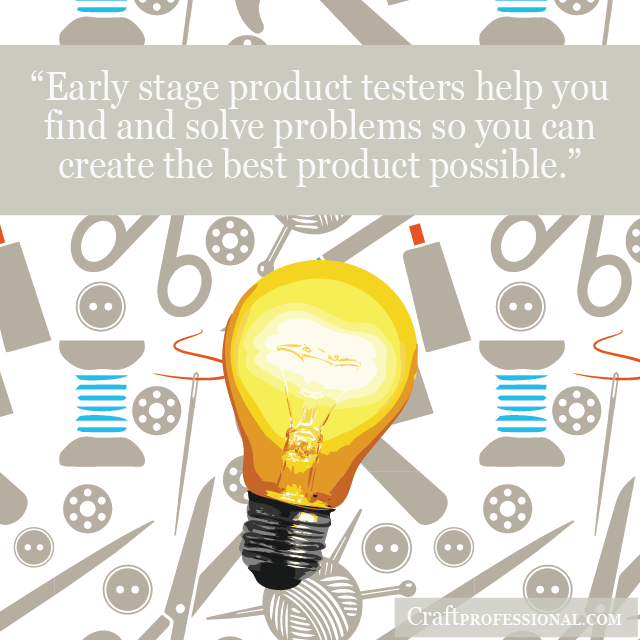 Early stage product testers help you find and solve problems, so you can create the best product possible. They may save you time and money, and they are giving you important information needed to develop your product to the absolute best of its potential. It's a tradeoff you make when you need to keep something quiet. If you don't test with your target market, you risk discovering an issue when the product is launched, and then you may need to go back after the launch and change something. For some issues and product types, change will be fairly simple, for others, it can involve a lot of time and expense. 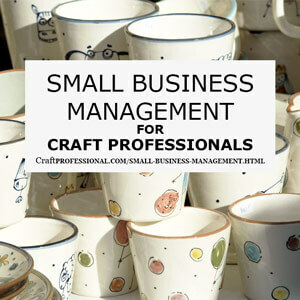 For most handmade items, as long as the issue isn't a fundamental problem, I would think a change would be fairly simple, as long as you don't create a lot of product before you find the issue. You create the item yourself. You don't have to deal with all of the red tape involved in directing a manufacturer to create your product. You simply have to make the changes yourself. Changing after launch, though could represent some lost time, lost money, and lost momentum, so you want to do your best to get your product tested in the hands of your target customer whenever feasible. DON'T STOCK UP ON PRODUCT OR RAW MATERIALS YET! 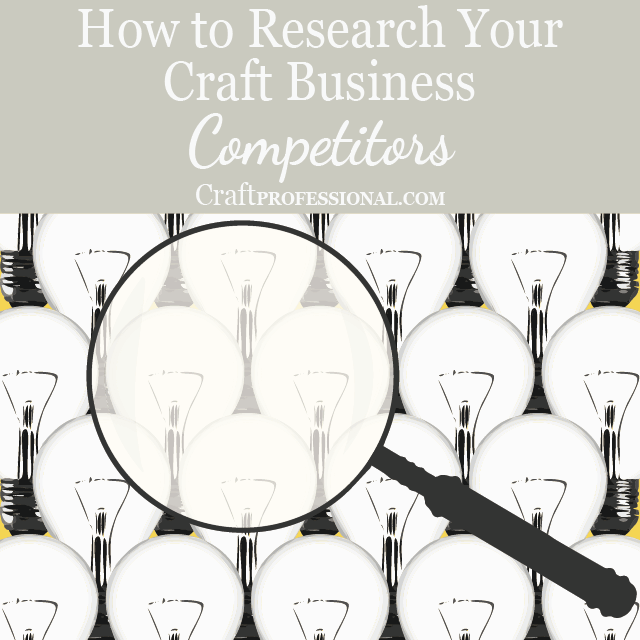 Do be sure to test on your target market, and research your competition (more on that in the next article in this series) before you make a lot of product. Create enough to test your product, refine your techniques, and meet initial demand (if you've made it available for sale already). Don't immediately create enough product to fill an entire craft booth before you've had a chance to see customer reactions. It would be heart-breaking to have a studio full of products that would be so much more popular if only you had made a few changes in the design. Similarly, be careful about ordering too much raw material until you've introduced your product to your target market. You might discover that using a slightly different type of raw material - softer felt on your handmade stuffed animals, gold-filled wire instead of silver on your jewelry - may make all the difference in your product's appeal to customers or profitability. Order as much as you think you need to meet your initial requirements. Consider how easy it is to get your raw material quickly. If you can reliably buy it from the shop down the street, you don't need to worry much. If your only source of raw materials is an overseas supplier, you'll need to be more careful about running out. Ultimately, though, be careful about stocking up too much on raw materials until you've got the final design down. Next up, check out the competition. Discover tips so you can assess your competition, look for holes in your niche and find ways to fill them with your product.